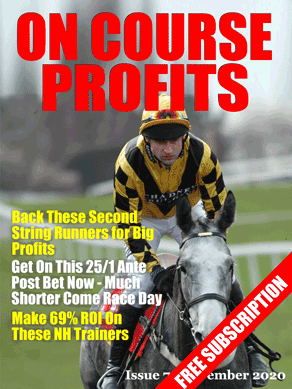 After 34 points profit in June Hawkeye Tips have only had one selection so far in July. On Wednesday April Ciel was advised at 14/1 and so the gamble began all the way down to a starting price of 9/2. It led all the way to win by just over a length. This link goes direct to Paypal and once you've paid you will receive an email with log in details. Following on from my article about apprentices/ amateur jockeys the other week. There is another of these events today at Carlisle 5.40. Jack Garritty has had 19 rides and 2 wins in the last couple of weeks with Kevin Stott 17 rides no wins the next best. Garrity is on New Lease Of Life @ 16’1 & Stott is on Al Khan @ 4’1. Hopefully these two can fight out the finish. The Mud Maestro selection Hint of Mint won comfortably at 10/1 yesterday, available in the morning at 12/1. Hopefully you were on? Today I have a selection from a system sent to me by Mark Foley of Trainer Trends. This system puts together rules that identify horses that have had three runs to get their handicap mark and then dropped in class to an easier race. Horse has exactly 3 previous runs. Today's Class is 6 or 7. All 3 previous runs were in Class 1 – 5 races. There are certain trainers that are profitable when they follow this route and one of those is Andrew Balding who has Alumina running today. Alumina has had 3 previous runs all in Class 5 events and runs today in the Class 6 32 Red Handicap at Lingfield.